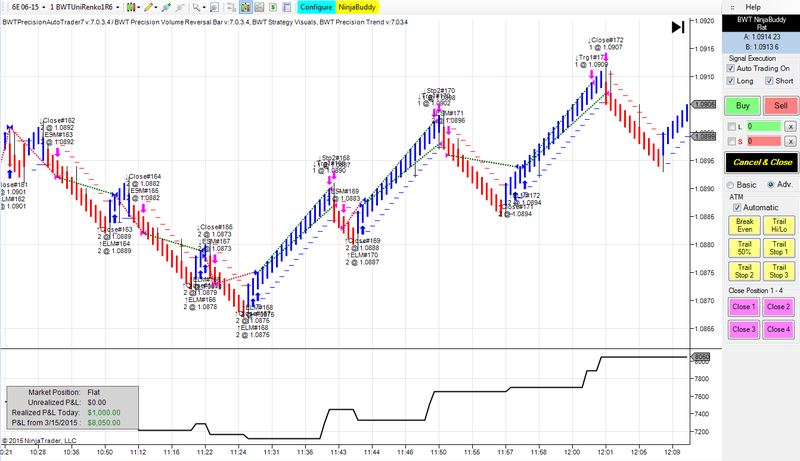 Why use MicroTrends NinjaTrader Automated Trading Systems? Developing NinjaTrader automated trading systems is a passion since retiring from the city in 2006 to setup allowing MicroTrends to partner with NinjaTrader in 2009 & become a leading developer of automated algorithmic trading strategies in the retail and hedge fund commercial trading side of the futures trading industry for NinjaTrader. Developing & testing 100s of NinjaTrader Strategy projects in NinjaTrader 7 & NinjaTrader 8 over decade professionally. Rates are a guideline and are negotiable based on your trading experience and the type of project work and duration. Ninjatrader development by MicroTrends provides traders with very experienced professional listed professional ninjaScript consultancy programming services specialising in C# & .Net quantitative NinjaTrader development & algorithmic trading – Our founder & CEO Tom Leeson started developing for institutions from 1995 & created MicroTrends in 2006 and has been specializing in NinjaTrader trading indicators & automated trading systems as a listed professional consultancy since 2009. MicroTrends is a leading automated trading systems specialist for NinjaTrader Strategy development for commercial, retail trading and vendor systems. 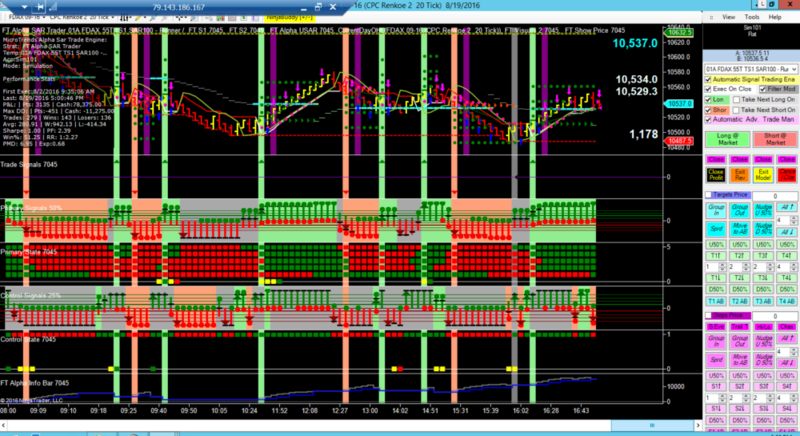 Experts in realtime tick by tick realtime algorithmic trading systems providing interactive control and settings. You submit a request for consultancy or custom development with a short description of your project. We respond and liaise via skype or email and ask if necessary for clarification and supporting materials such as a more detailed description of your project (technical specifications, algorithms, EL code you want to convert to C# strategy, indicators supporting diagrams etc.). We inform you if we can help you and if we have enough resources at the moment to handle your request. We estimate time to delivery, project phases and payment schedule and negotiate it with you. We can charge either hourly rate or fixed per project rate, which we negotiate with every customer. If the project terms are accepted you send an advance deposit and the project commences. We accept paypal or credit card payment through paypal.com, stripe, you can also transfer the payment directly to our bank account. Collaboration & Testing of your product is carried out on a private server we supply for your project, with compiled time locked code provide with full datafeed and platform for easy test feedback !! Please note: All amounts are non refundable for consultancy services and products provided regardless if your ideas are viable trading systems or not.We can advise and provide component features and suggestions to make your strategy or trading system increase its chances of being a winner however we are unable to provide trading or investment advice. MicroTrends standard terms & conditions apply, errors and omissions excluded, please read our terms thank you! MicroTrends can create your custom indicators, trading strategies from scratch using NinjaTrader or save time & cost & super charge your strategies safely powering them with a NinjaTrader C# strategies in realtime Tick by tick execution or on bar close, with advanced NinjaTrader unmanaged mode, constant, dynamic position sizing, realtime UI control, advanced trade management – without rival in the NinjaTrader development community. Strategy analysis services both sequential & genetic optimisation, proprietary tick database empirical statistical measurement to assess your Trade Strategy Viability without curve fitting, using NT7 and NinjaTrader 8, proprietary tick data systems & R.
Traders: MicroTrends is not the cheapest listed professional NinjaTrader Consultant and if you are after a 5 minute job or want the cheapest quote please don’t waste your time or our time – we provide commercial grade & work to a lightweight Institutional process to ensure what we do deliver is in the minimum time, with the least cost and the maximum quality & robustness. We are not a quoting service. Chosing the cheapest developer to write an automated trading strategy is suicide or a false economy as you will need it coded properly later if you have any funds left and have not blown up your account in a live trading accident – due to overfills unguarded positions or the strategy erroring as is usually expected with the default NinjaTrader strategy managed approach – read here for details. Avoid False Economy – Do not skimp & cut cost…there are no short cuts… Use a pro and write it correctly the first time, a pro will understand about code performance, extensibility, maintainability, security, readability, unit, system testing and involve you for user acceptance testing – working systematically in a rapid process of development and feedback which guides development and the ultimate product which will evolve. Avoid code re-writes and additional money later to put it right or add in support and best practices for automated trading, avoid errors with strategy development – which looks great in back test and sim – but in live account trading that might leave you with less money in your trading account than you started with? You get what you pay for – it is a false economy to get the cheapest quote – you will waste time & money if you are tempted to save money instead of going for the best product – be wise get a proven professional to do it… don’t be tight.. If you cannot afford a pro you are at risk of the project costing you much more – you should not be trading or considering a trading project until you are fully ready to invest the correct time & budget to obtain your return on the investment. Use a real professional and pay the correct market price for the correct standard- but also there is no need to pay the most expensive either – Ask your chosen Professional to show you some of their work and proof they can work in unmanaged mode – proof they are a real programmer with a history – not someone who can’t make money trading and tries to make it by development – use someone who can trade and can develop. Algorithmic day trading & swing trading systems. Autotrade Futures, Equities, Forex, Pairs, Statistical Arbitrage & Spreads. Consultancy, analysis & development. Featuring on Chart visble trade system rules, backtesting & integrated risk management, money management & adaptive advanced trade management. MicroTrends is a leading listed professional NinjaTrader Consultant providing quantitative solutions utilising a lightweight agile software development methodology. A project comprises of one or many phases known as iterations used to ellaborate, construct and deliver your requirements. Each iteration involving partial or the full software development cycle. Our adaptive approach, is incremental and iterative in nature and offers you the maximum flexibility, transparency and control with the least cost, risk and delivery time. Designed and used for the smallest ‘Fast Track’ 2 hour minimum size projects with simple, well defined requirements to the longer or larger, more complex or partially defined projects. Collaboration during the project can take place via email, visualstudio.com, Skype, screen sharing or remote control. Documentation, notes, annotated charts, resources/deliverables will be stored and conversations, cases, threads are posted within your own private projects area in the MicroTrends Projects Forum. You are very much treated as a part of the development team during the project, with daily if not more frequent liaison as required. Access details will be provided during the project facilitation phase after which you can post dependencies such as indicators, charts or just provide more details. Project source code will be safely stored and version controlled within our private secure online repository using the latest technology MSTFS 2016. Protected compiled code with time locks or temporary licenses will normally be used for providing product test versions for your feedback and acceptance testing during the project, a protected licensed assembly is provided and source code is supplied or stored to be agreed normally on completion of your project and full receipt of payment. For you project a quantitative developer will be allocated to take it forward and is supported if need be by the rest of the development team. A Project Manager will also be available in an ancillary role for you to contact at any time for any reason for your project guidance and assistance. We can assist with any planning, mediation, facilitation, billing, project timesheets or general queries you may have in confidence on a one to one basis. If you have any questions or require assistance please don’t hesitate to ask. We look forward to building your Professional system!